Jelly Babies – Centuries in the Making! Jelly Babies have been around for a very long time – for more than 150 years! They were invented in 1864 by an Austrian immigrant working at Fryers of Lancanshire. After the First World War, Bassets produced the sweets as ‘Peace Babies’ to mark the end of the conflict. During World War II, production came to a halt due to wartime shortages. In 1953, the sweet was relaunched as ‘Jelly Babies’. Did you know that the different ‘babies’ have names? 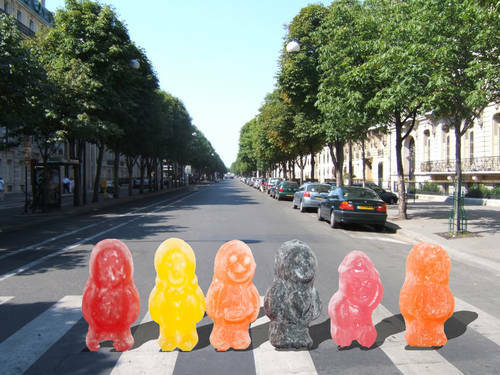 Jelly babies are similar in appearance to gummi bears, which are better known outside the United Kingdom, though the texture is different. In 2009, a poll of 4,000 British adults voted jelly babies their 6th favourite sweet. Random Fact: Fans of the Beatles used to apparently pelt the band with them, after it was revealed that they were a favourite snack of George Harrison.